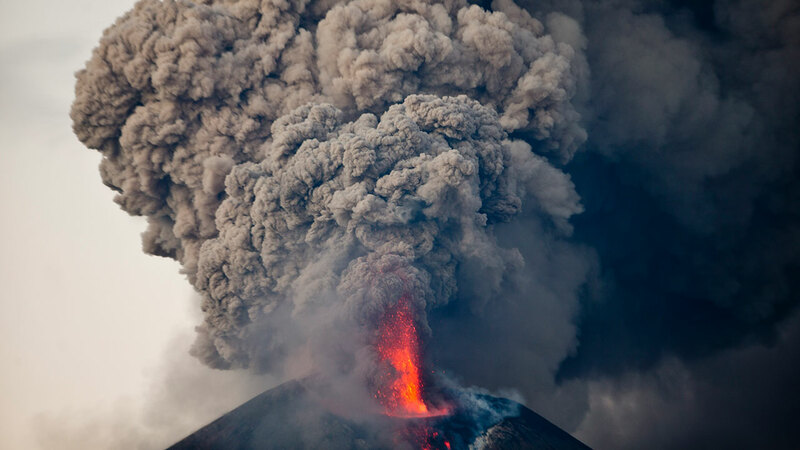 This week the famed Momotombo volcano in Nicaragua put on a show in its first known eruption in 110 years. The long-inactive volcano, one of the country's most recognizable landmarks, began spitting ash into the sky on Tuesday, with some plumes reaching about 1,000 yards high. The activity continued into Wednesday, when it began spewing lava. The last confirmed eruption of the 4,255-foot volcano was on Jan. 16, 1905, according to the Smithsonian. Despite its inactivity over the past century, the volcano has a destructive history. The entire city of Leon had to be relocated in 1610 after a particularly bad eruption destroyed it. Today, the area surrounding the volcano has about 98,000 people living within 18 miles of it. Government spokeswoman Rosario Murillo said that it didn't appear the volcano was headed for heavily-populated areas.